Plain and simple, with graceful curves, describes this traditional style fireplace screen with wire mesh. 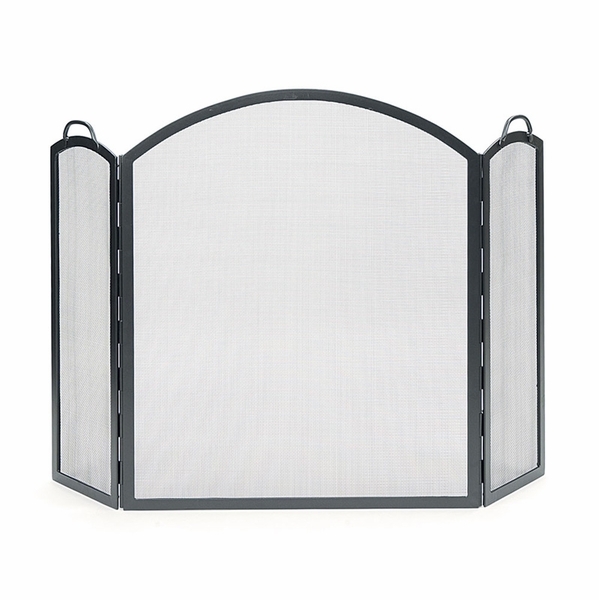 Every part of this screen is finely crafted with handles on the sides for ease in moving. This lovely screen will be welcomed into any style decor and outside as well as it's constructed of wrought iron to last for many years. We have other styles with more than three panels if you so desire. Because of the panels, it makes for easy stoking without moving the entire screen away from the fire. So simple, yet so elegant with the graphite powder coating. See measurements listed.